***Sorry, we cannot adopt outside of Southern California*** I am an all boy cat and big for my age. I will probably be a big boy when I grow up. I like to sit next to my human and get belly rubs. I am more interested in playing with other cats and toys than being held or fussed over, so I am not much of a lap cat right now. I do like attention, particularly back scratches. I get along with boy and girl cats and live with most ages (2-9 years old). I am submissive to other male cats in my current home. I use my litter box and scratching post. I really enjoy wet food and treats. 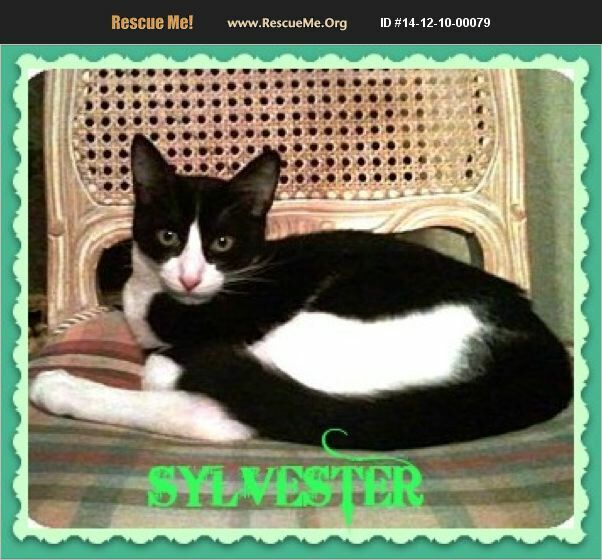 Sylvester was born 4/2012 Adoption fee is Tax Deductible and includes spay/Neutered, microchipped, combo tested, vaccinations, dewormed and flea control. Adoption fee goes towards food, bedding, medical expenses, shelter fees to rescue cats from high kill shelters before they are put to sleep, ect.